To enter spirituality, we need only evoke the spiritual sensation within us, sharpen our senses & open our perception to what is right here. We cannot take a train or a plane to the spiritual world because it is within us. 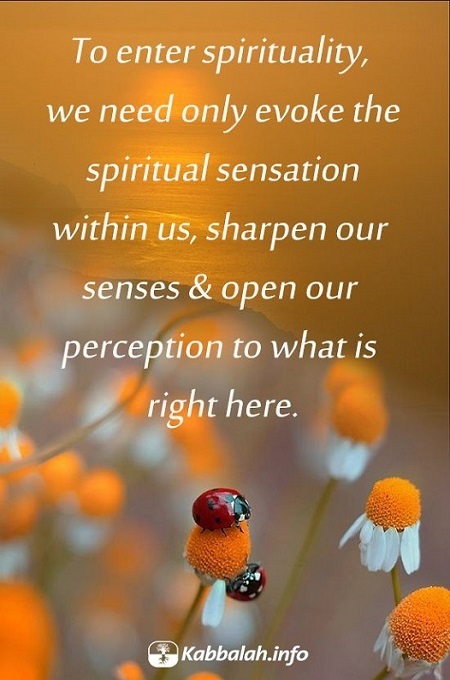 To enter spirituality, we need only evoke the spiritual sensation within us, sharpen our senses, and open our perception to what is right here. We will then find ourselves in a never-ending, wonderful adventure that will astonish us and fill us with awe; from then on our sense of awe will be never-ending.